Here you find all the cheats in April 2012 appeared extension of Grand Theft Auto 4 - The Ballad of Gay Tony on the Playstation 3 (PS3). The PS3 Adon The Ballad of Gay Tony was one of the most popular extensions of Grand Theft Auto 4 The cheat codes are entered as usual as a phone number in the in-game cell phone. Once you have the cheat number called is the cheat code in GTA 4 - The Ballad of Gay Tony created and activated as the vehicle ahead of you. In this Cheat List 7 active cheats are available. The sporty motorcycle Vader you get after it this cheat code for the Playstation 3 (PS3) have in The Ballad of Gay Tony entered with the phone. The Sportbike.. The Akuma Street Fighter Bike (motorcycle) you can with this GTA The Ballad of Gay Tony Cheat code on the Playstation 3 (PS3) Create. Give the cheat as usual.. 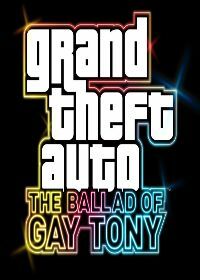 This is the GTA The Ballad of Gay Tony cheat code for life full of energy and full of ammunition on the Playstation 3. An ford gt 40 simular looking car you will get after you have typed in this cheat code for GTA The Ballad of Gay Tony on Playstation 3. Here is the bullet gt..
Grand Theft Auto The Ballad of Gay Tony comes on PS3 with an new Speedboat. You will find the speedboat in GTA 4 - The Ballad of Gay Tony near the rivers or ..
Is it the parachute in GTA Ballad of Gay Tony again. Here is the cheat code for the parachute in Grand Theft Auto 4 on PS3. The APC armored SWAT vehicle can be used in GTA Ballad of Gay Tony is not only good for police but also for missions against opponents. The cheat code to SWA..